Tahoe's Best Ski and Snowboard Resort and Information Guide! Browse This Comprehensive Guide to Lake Tahoe Snowboarding and Lake Tahoe Skiing! Tahoe's Best Ski and Snowboard Guide will once again bring you the latest ski reports and weather for all Lake Tahoe. Track your favorite resorts and let the conditions dictate your choice. 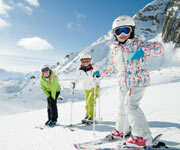 Enjoy your time on the slopes and always ski and board safely. Skiing and snowboarding in Lake Tahoe is world class! There's simply no other way to put it. Whether you ski or snowboard in Tahoe, or are one of the many that are now doing both, your options are limited only by your time! 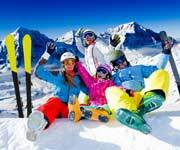 Coming from out of town and need ski accommodations in Lake Tahoe? Check out our Hotels, Resorts and Lodging or Vacation Rental sections for ski accommodations, lodging and ski vacation & package options. Check Opening and Closing Dates for Lake Tahoe Ski Resorts! Below are the Lake Tahoe ski resort opening/closing dates for your reference. Conditions can change quickly so please be sure to call ahead early in the season. Click here for Lake Tahoe weather updates and here for your daily Lake Tahoe ski report. Happy trails. South Lake Tahoe's Premier Ski Resort! Always pray for snow! How do you describe skiing in Lake Tahoe? Let’s start with breathtaking views, spectacular mountains, miles & miles of winding slopes, skiers, snowboarders, trams, gondolas, quads, chairs, terrain parks, moguls, food, drink, fun, sun, and over 400 inches of snow each year. Green, blue, or black diamond. Steep & deep or mild & groomed. Ski or ride, ride or ski, or both in the same day! Epic, sunny ski days and memories to last a life time – all at a place known simply as “The Lake” as in Lake Tahoe where the entire skiing and riding experience has gone to a new level. Where to ride and ski in Tahoe? Well, it’s simple… and not so simple given there are over 18 world-class ski resorts in Lake Tahoe to choose from! On the Tahoe's South Shore the most popular ski resorts are Heavenly (large) and Kirkwood (the local’s favorite). Homewood is the choice on the West Shore and on the North Shore, the popular resorts are Squaw Valley, Alpine Meadows (always lots of snow and now joined with Squaw), Sugar Bowl (closest major Tahoe ski area to Sacramento and the Bay Area),  Diamond Peak (great views & groomers), Boreal (small and open for night skiing and riding), and Northstar (popular with families). Season Passes can be purchased and if you ski or ride more than 5-6 days per year, they’re a steal not to mention an awesome deal. Check Tahoe's best live and up-to-date Tahoe ski reports here where you'll find ski and snow conditions reported each morning directly from each resort. 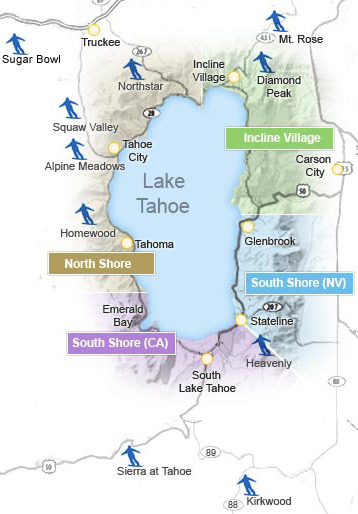 For a list of Lake Tahoe ski resorts and a ski resort map see the bottom of this page. Look above for ski resort opening and closing dates. If you are driving to Lake Tahoe, check our extensive weather page which includes forcasts, radar maps, road conditions and live highway webcams. See you on the slopes! 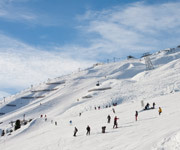 Learn How to Ski at Tahoe Donner Ski Resort! 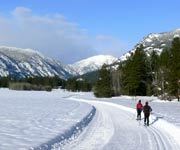 The Ultimate Cross Country Skiing Awaits You At Spooner Lake. Rent Skis With Ease Unmatched Anywhere Else! Tahoe XC Ski Area, The Place Where Families & Pets Can All Play In The Snow! 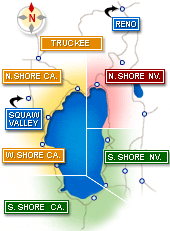 Porter's has 3 locations throughout the Lake Tahoe area where you can pick up and drop off your rentals! Check out the full list of Tahoe ski resorts below and view where each is on the map. 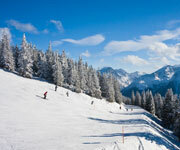 Most resorts offer both skiing and snowboarding with miles of slopes and plenty of terrain parks. Whether you want family friendly ski resorts or monster downhill runs, Tahoe has it all. Once you've figured out which ski resort in Tahoe you want to hit up, check out some of the lodging in the area and find the best deals on Lake Tahoe hotels.